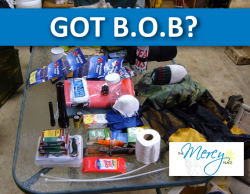 Get Your Bug-Out Bag ready! way to make a snare for small game in addition to you 3 day supply. This pack needs to be ready to go at a moments notice.